Document IDs help you manage your documents by providing an easy way to track items regardless of their location. 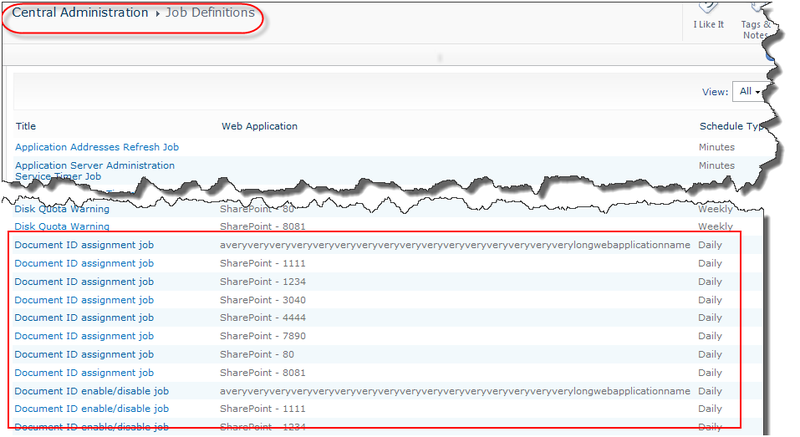 Starting with SharePoint2010, the unique identifier of a document is no longer a headache to manage. 1. Activate the Document ID Site collection feature. 2. Enter Site Actions>- Site collection features, then press the “Active” button next to the Document ID service to activate. 3. Go back to the Settings page. 4. 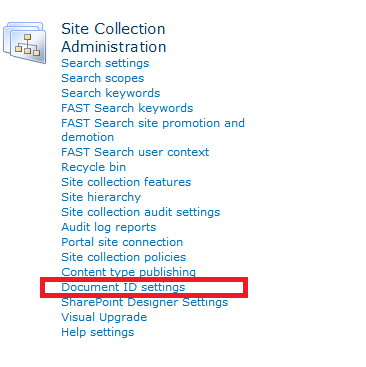 Click on “Document ID settings” under Site Collection Administration. 5. In the Document ID settings page, set a custom string of characters or numbers that are automatically appended to the beginning of each Document ID. 7. 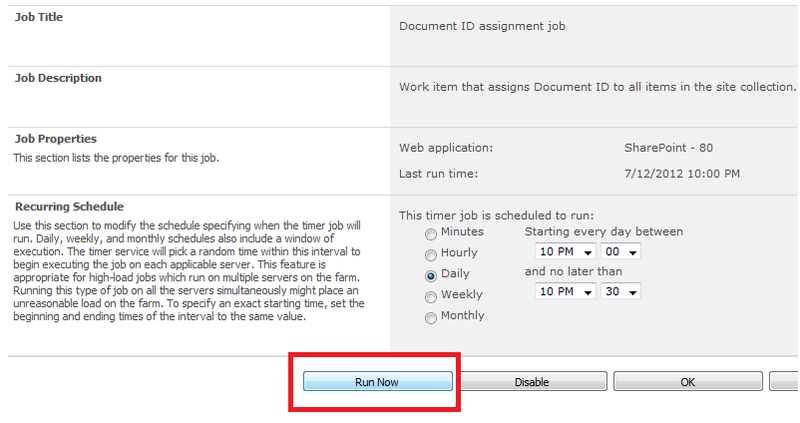 Start the Document ID enable/disable timer job and Document ID assignment timer job in Central Administration. Note: If you activate the Document ID service at the Site collection level, the system may not assign Document IDs to all the documents under the site collection right away. This is because the Document ID service feature depends on two Timer Job services to work (Document ID enable/disable timer job and Document ID assignment timer job). 8. Click the links, and Start the two timer jobs manual. 9. Go back to the site where you started the service and choose a Document library. 10. 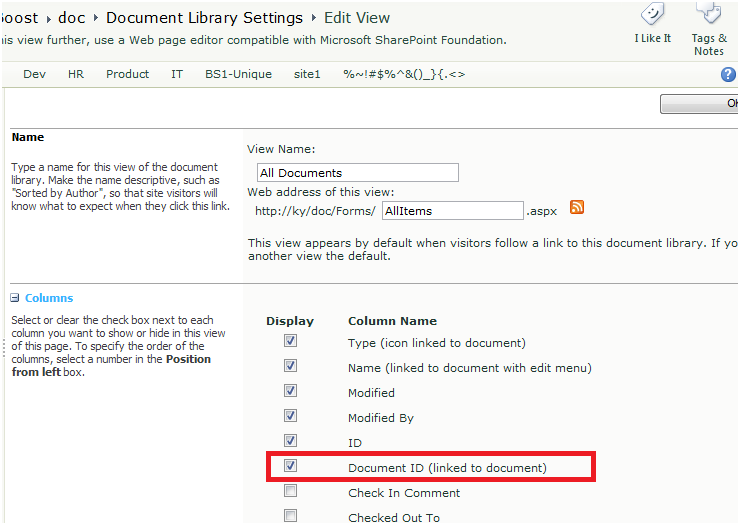 Enter the Modify View page and select Document ID column. 11. Now, upload a document and you will see the Document ID. Configure unique Document IDs in single site is possible because I don’t need for all sites . I just need this feature for single site .I am using online shraepoint in my office Please help me ! I need to Activate unique Document IDs feature in single site is this possible because I don’t need this feature activate in all sites . I just need this feature for single site only .I am using online SharePoint in my office Please help me !